Infallible Techie: How to edit Report folder? 1. Go to Report tab. 2. Search the report folder. 3. 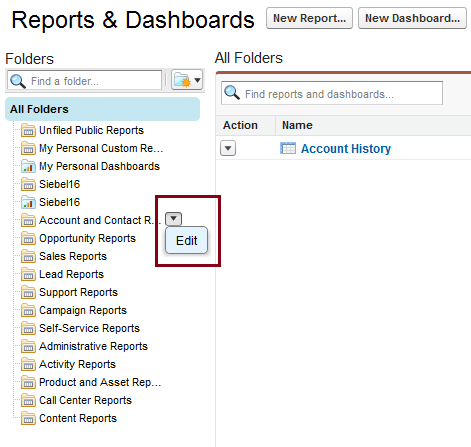 Click down arrow next to folder name to edit the report folder.